“Property developer, John Eldridge commissioned James Wells for his directness and integrity of his approach”. 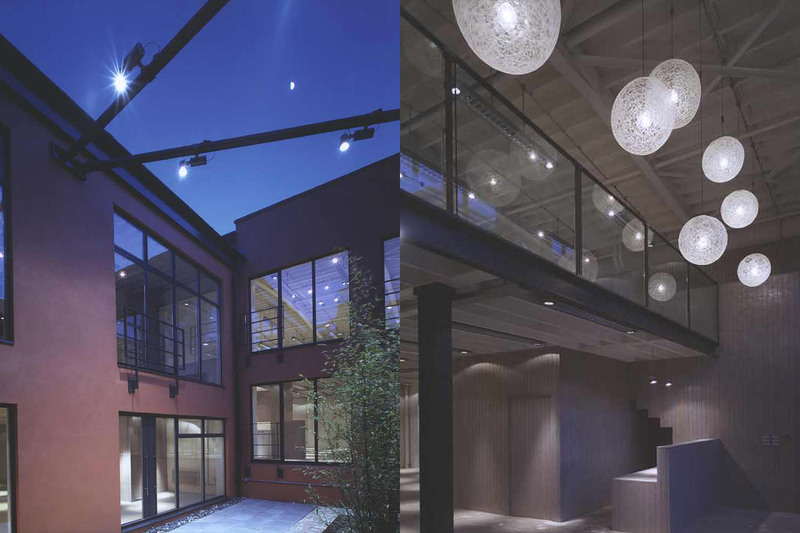 This scheme involved the conversion of two warehouses into three self-contained office units. One was a robust Edwardian red brick industrial building with stone dressings. The second was a 1980s double height brick shed with crude glazing and garage doors to the front. The challenge was to unite these two buildings to form a coherent whole. Bespoke light fittings were designed and installed throughout both buildings to give the tenant both general and focused lighting. Service areas were created with the insertion of elegantly designed timber pods into the original shell. A courtyard of silver birch trees has been formed at the rear in order to maximise available daylight and allow cross ventilation. This speculative development was sold prior to completion to an owner-occupier in the music industry.